After being at the City Council meeting on the 9th I feel that you guys have heard a lot of important statistics, public opinion, and other helpful information. I would like to present some information from a perspective I am not sure you have had. I have had the privilege to speak to some of you individually, and some of you have some social acquaintances in common with me as well, so I know you have all been asking questions and trying to make the most informed decision possible. As I emailed you last week, I have had 20 years experience in the animal world, specializing in dogs. One of the most important things I have done over the years is go into people's homes and help them with training and behavioral issues. You would be shocked to find out how many managed potentially dangerous dogs there are in our city. I have no doubt the breeds would shock you equally. I also personally estimate the actual amount of “possible” Pit Mixes in our city, compared to the 3-600 registered, is upwards of ten times higher. 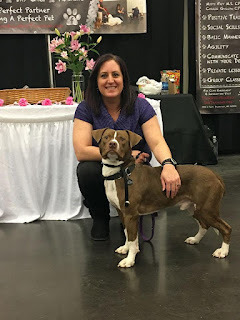 Starting about 2 years after the BSL was put into place here in Springfield, I began to get phone calls from citizens about their unsocialized Pit Bull mixes. I had my professional and personal opinion about BSL at that point, but when I got a huge influx of these calls I realized how many responsible people, who had their dogs registered with the city were still scared to take their dogs out in public for fear of being stopped by police or turned into Animal Control by people who thought they may be breaking the ordinances. One of the things I found to be prominent was not just the amount of anxiety in the humans, but the huge amount of anxiety in the dogs. There was this huge lack of social cues (ways that a dog speaks). After doing many lessons that mirrored each other I really started to get frustrated with the BSL. Most of these people weren't giving their dogs the amount of physical and mental stimulation that dogs need to be safe members of society. They were scared to walk them, or the anxiety was so bad in the dog you couldn't walk them because the muzzle was a traumatic thing for them. Not to mention that we impede dogs facial cues by covering them with a muzzle. Most people had no clue there was even a desensitization process that helps a dog get used to the muzzle. That being said, not every dog can be acclimated to the muzzle due to anxieties having to do with restraint. These dogs would go through as much training and behavior modification as the owner could afford, but the damage had been done. You can’t fix a dog that was a puppy when the ordinance was passed. These puppies missed important developmental periods that you most likely cannot get back. They didn’t learn to relax in new places, or see many breeds of dogs, and children, and even men with beards. These things can be extremely scary if they just appear into an unsocialized adult’s life. That being said... what do dogs do when they are scared and haven’t been taught to handle normal life situations? They try to get away...or they try to protect themselves. Fight or Flight is a universal animal instinct. Yes, some dogs are just wired wrong, but a huge majority of these behavioral issues could have been avoided if we could have socialized them properly when they were young. The other angle I have that no one in this area has is that I own a non-breed discriminatory daycare and boarding facility. 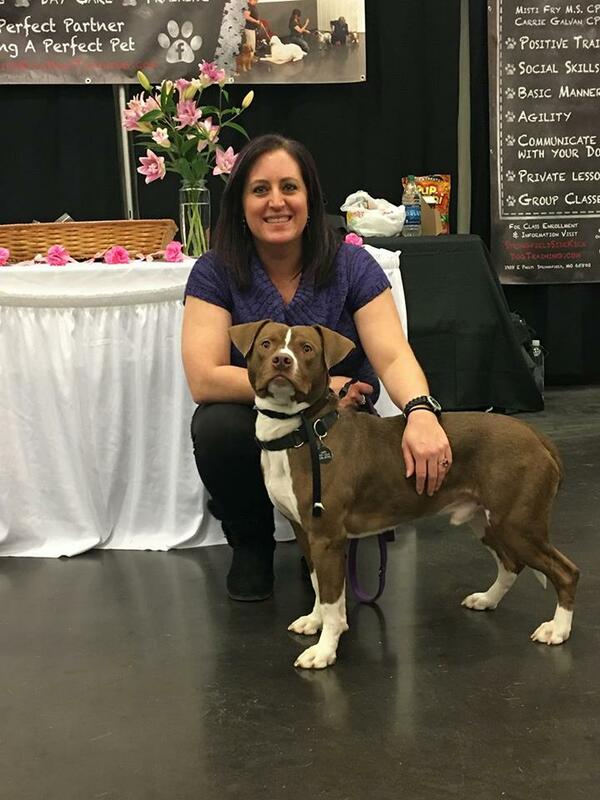 There are many places that won’t take Pit Bull mixes due to big box store regulations and lack of kennel tech training. That is not so at my place. We allow all dogs to play with appropriate playmates. Some dogs have soft play styles, some love to run, some love to get down and do some WWE wrestling, some would prefer to hang out and be dainty, some think all other dogs are a waste of oxygen, and others want to play in varying sizes of playgroups. What breeds go in each of these groups? Any...Even the Pits, German Shepherds, Rotweillers, Great Danes, and Mastiffs can play in each of the groups. I am informing you, as a professional who owns a business that handles hundreds of dogs a week, the breed doesn’t matter, yet the temperament does. Are there breed tendencies? Yes. Can every dog of every breed be lumped into the category of having the tendencies of their breed? Absolutely not. I am sure that if you would like to have a conversation with Jim, he would love to answer any questions you may have. Just let me know if you would like his contact information. I would also urge you to investigate the time, money, and manpower expended on unnecessary calls about “Pit Bull’s” by Animal Control and other city departments. I think you will find that city dollars could be saved by using the Dangerous, Vicious, Reckless Owner legislation that was passed and is working. I am not aware of one city that has reinstated the BSL after trying the DVR legislation and repealing the BSL. It is cost effective and saves time taken for the “little unnecessary things”. Our reactionary response years ago may seem to have or have not worked, depending on the way you view the statistics. We all know statistics are not full proof when all of the variables are not controlled, but we have to look at what is full proof. We shocked and awed the city years ago when we implemented the BSL. This caused a HUGE increase in public awareness and education. This is a positive thing and we can continue to build on it by using legislation that has already proven itself more productive! The last subject I would like to touch on is the liability to the City. I know one of the burning questions for the City officials is...What happens if we repeal and a Pit Bull bites someone? Will that look bad on us and make us liable? Ultimately the liability is a question for the city’s law department. I do believe you will find that only a small group of people, uneducated on the ins and outs of dog etiquette etc, that would like to lay blame on you. If someone gets bit by any breed, and they inevitably will, you stand strong behind the new legislation that was passed by you guys, and you will find that it will show you have a more effective plan in place. You most certainly cannot please everyone, but you can stand united and strong knowing that the legislation is focusing on the people and dogs that are the problem. This legislation can further educate, and if need be, punish these people appropriately. This will also give you the ammunition to use irresponsible people as an example. Even Kevin Gibson said, at the meeting on the 9th, that the BSL did nothing for the people that are the problem. It only gave the city a log of people that loved their dog and respected authority. The rest were acquired on a call-by-call basis, and had to be enforced. I really urge you to take advantage of my unique perspective and call me. I am a educated wealth of information, that can help guide you to a more educated decision.